Let’s start with something I came across on YouTube, the caption just says “We are students from 4th of ESO and we are in a project about Transition Towns. Hope you like it 🙂 !” Turns out it is the students from the High School Joan Segura i Valls, in Santa Coloma de Queralt (Catalonia) (see right) who did a project on Transition (they talked to Rob Hopkins by Skype), set up Transition Santa Colomba, and are going great guns. After they finished their school project, they were given a video camera. What did they come up with? Transition has been getting into the Spanish media a fair bit too. 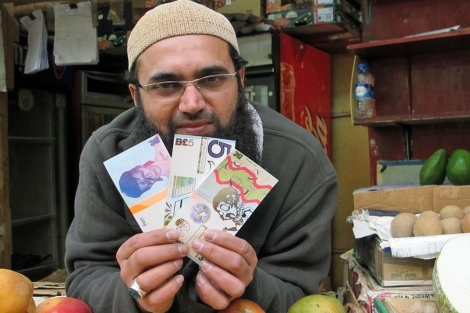 El Mundo, one of Spain’s biggest national papers, recently ran stories about Transition, one a more general introduction, about Transition Belsize and about the Brixton Pound (with some great photos, such as the great photo below). Here is a great story from Brazil, from Guarulhos (Sao Paulo). We’re grateful to May East for sending it in. Guarulhos is the Brazilian Heathrow; known as the gateway to the country, it is home to the largest airport in South America. It is also the second largest city of Sao Paulo state, with a population of 1.2 million people and 33% preserved area. Last month the first Transition Training took place in the city, hosted by the Secretary of Environment and involving 70 participants from a wide range of backgrounds. The impact of the training was lightening quick and at the end of the 2 days there were 3 working groups and the declaration of intent to re-dedicate a public park to be the first Transition Park of the city. Three weeks later a retrofitted abandoned building painted in earth colours, a medicine herb garden, the children’s play ground cheered-up, a crafts fair, the presence of the authorities, blessings by the regional indigenous people made the opening day of the park front-page news in the local press. Guarulhos is the latest city to join the ever-growing Brazilian Transition network – has its headquarters in the Julio Fracalanza Park and intends to increase the cycle paths connecting all the city’s parks threefold in one year. 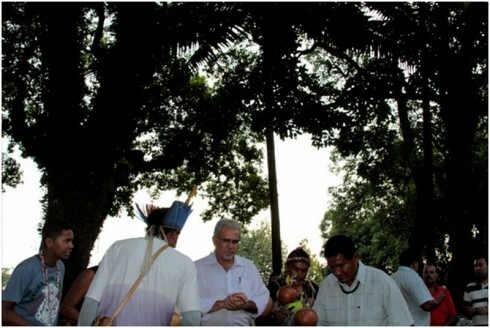 The Mayor of the City being blessed by indigenous people on the opening morning. To Canada now, and in British Colombia (BC), on April Fool’s Day (April 1st), Transiton Sooke on Vancouver Island discussed how money in our society is a kind of Fool’s Gold. Sunshine Coast in Transition (see right) on Vancouver Island is one of the latest groups to join the Transition Network and is well on their way to becoming official. Read more about their journey so far. In an effort to help keep their communities clean, T-Huronia (ON) held a Pitch In Day in Penetanguishene. They also screened The Greenest Building as part of their environmental film series. 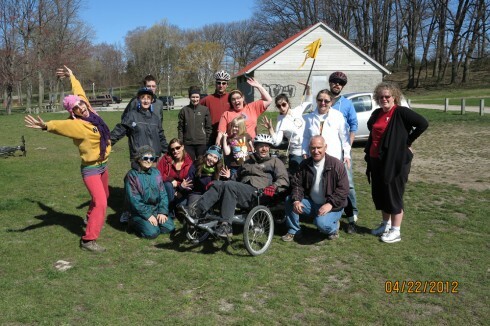 Above is a photo of some members of T-Huronia enjoying Earth Day! From Manitoba, here is an Uptown Mag article on the fledgling Transition Winnipeg initiative. Transition Town Totnes has been co-ordinating an innovative campaign to pressure milk processors Dairy Crest to enable the community to take over its abandoned site in Totnes, a campaign which is gaining momentum (see below photo from a recent public meeting). The project, known as Atmos Totnes, has made the front page of the local paper, appeared on the BBC News website, generated considerable media attention, gathered 50 ‘Atmos Voices’ of people from across the community speaking up for the campaign, and recently spoke to former agriculture minister John Gummer who gave the scheme a glowing endorsement. TT Exmouth planted nearly 50 trees at the former Dennesdene Farm site in East Devon. Read more here. Bridport News reports how Transition Town Bridport is training unemployed 18 to 26-year-olds in the use of hand tools and called for people to volunteer as course mentors. 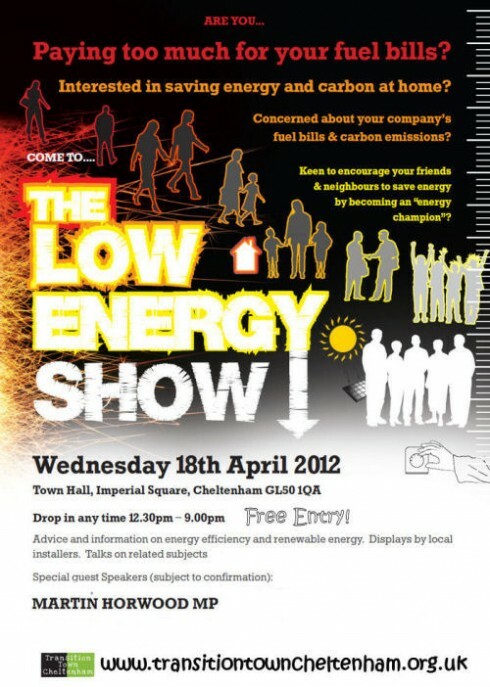 TT-Cheltenham held a ‘Low Energy Show’ which you can read about in more detail here, and you can see the poster (right). Hello, we are a partnership of two, active in the Transition Towns movement in Leicester. We have worked in people’s houses, are very conscious of carbon footprint issues, have a cycle for work policy, moreover we have helped develop the shared apple pressing project which is proving to be so successful in Leicestershire. Rupert has developed an apple press package which is highly efficient, locally produced and competitively priced. We are also sourcing our timber from as close to home as possible, hence the tree sawing machine. It started with one press for Transition Leicester shared among 20-30 people. They now have two, Market Harborough, Loughborough and North West Leicestershire also have one each. I think Wigston are wanting one now too. It would be great if we could let your network know what a good community development the project has turned out to be. You can read more about this apple press project here on T-Leicester’s website. 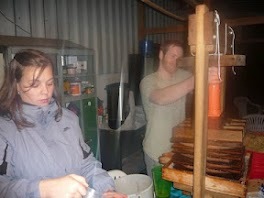 Here (left) is a photo of the new press in action. To London now. At St Mark’s Church, Transition Town Wimbledon, Wimbledon Civic Forum and Transition Town Tooting jointly hosted a Local Husting for London Assembly elections. You can read more about that here and see the photo below, right. Read more about the Tooting Pound here. 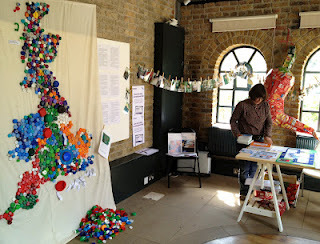 Transition Town Tooting’s ‘Monthly Do’ at Wandsworth Borough Council’s Pump House Gallery in Battersea Park saw several members join with gallery staff to offer a drop-in afternoon about on ‘Growing Successfully in the City’ (see right). TT-Taunton Guerrilla Gardeners have also been busy planting up derelict areas of the town with edible herbs! Read more in This is Somerset. TT Worthing have been promoting a garden share scheme in the Adur and Worthing area. To find out more visit transitiontownworthing. Former TT-Worthing steering group member Steve Last decided to start up a Transition group closer to home in the village of Findon. Read how a change in circumstances made him revaluate his involvement with Worthing and look no further than his own back yard. 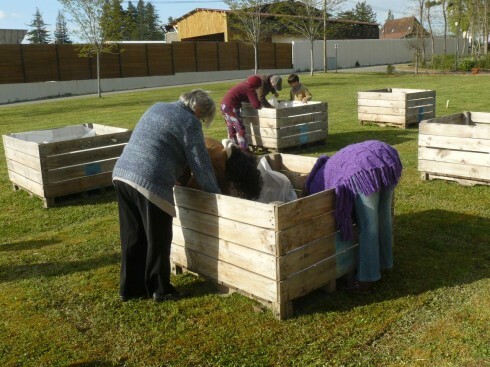 From France, we are grateful to Kitty de Bruin for sending us this: “In Ungersheim, France, the town decided to use the bottom-up process to start Transition with the citizens. They did not fly in expensive experts but involved the citizens to create awareness and involve them in the Transition process (see photo above). Read this L’Alcase report (in French) about Transition in Ungersheim”. DACH (Germany, Austria & Switzerland) have been busy preparing for their nation(s) wide “In Transition 2.0 Film & Information Day” on May 13th. More than 10-15 (and growing!) 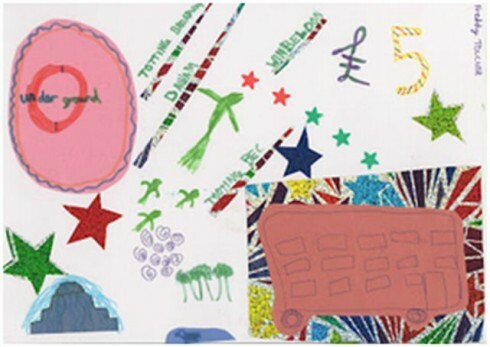 Transition initiatives across DACH are planning to show In Transition 2.0 in this fantastic unified event! If you are in Germany, for more info about how to participate etc. (in German) click here. In New Zealand, Transition Oamaru and Waitaki District held their third Sustainable Skills School which had on offer over 30 courses including identifying edible seaweed, wood turning, preparing a hangi, making sauerkraut, making mud bricks and recycling car tyres! Read more about this fantastic event in the Otago Daily Times. Now to Sweden. The spread of Transition Towns in Sweden got a big push forward recently from the Swedish Minister for the Environment, Lena Ek, who expressed her support for the work of Transition initiatives in the County of Östergötland. She was quoted as saying, “it was so great to get back to Stockholm after the UN climate negotiations to discover all these Transition initiatives. This is exactly what I hoped would start in Sweden, as transition must begin locally”. For more information read Stephen Hinton’s full report here. And for information in Swedish, see the (PDF) newsletter from Hela Sverige Skall Leva. Lastly, let’s see what’s happening in the US. 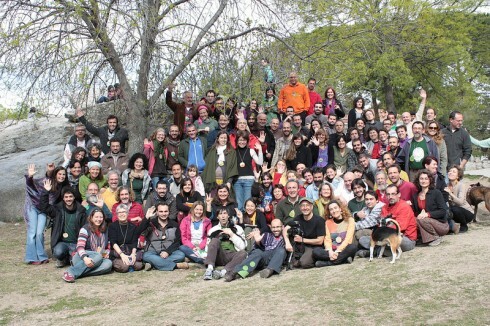 For starters, you can find the Transition US April newsletter here. In California, an article on NewsReview.com has members of Transition Chico talking about bringing neighbourhoods together to create a self-sustainable community. Transition San Luis Obispo co-sponsored a free lecture titled The deadly connection: Endless war and economic crisis in the city-county library. Colorado Springs Independent wrote about TT Manitou Springs Seed Bank. Find out more about the seed bank here. In Newtown (CT), local resident Barbara Toomey attended a Transition training session and is now well on her way to forming an initiating group. There is already a Sustainable Film Series up and running which started this month with Carbon Nation. Transition Newtown would make the third Transition group in CT joining the communities of Greater New Haven and Litchfield. Go Newtown! Dr. Steven Chase of Antioch University New England, presented a free lecture “The Global Transition Movement: Innovative Local Responses to Peak Oil and Climate Disruption” at Saint Joseph College, Connecticut. 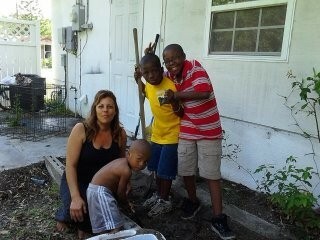 From Florida, here are a couple of photos from Code Green Community in Tampa Bay taking part in Earth Day. Framington Patch reports that Transition Framington (MA) took part in the State’s Green Fest. Keene (NH) Transition Movement Community blog published a timetable for Monadnock Localvore Reskillling Workshops in 2012. See the dates of the workshops and find out more here. Transition Town State College (PA) held a successful local Foods Forum whilst Transition Town Media held a community pot luck meal and garbage art contest! Here is an article titled ‘Is the Time Now for R.I. to Make Transition?’ which discusses the potential for Transition towns in the state. The Citizen reported how Transition Town Charlotte (VT) co-sponsored community viewing and discussion of five films related to Vermont’s Comprehensive Energy Plan. Read the article here. To close, on a more general note, don’t forget to keep an eye on Transition Network’s news and projects for inspiring Transition-related stories from across the globe. STIR online magazine features an interview with Rob Hopkins by Jonny Gordon-Farleigh and a review of In Transition 2.0 by Charlotte du Cann, and at Permaculture Magazine, Phillip Moore reviews In Transition 2.0. Also Transition is cited as a grassroots movement that is shaping the future and is mentioned in a summary of the key points from the built environment discussion group also on Guardian.co.uk. The Christian Science Monitor writes this article titled Transition Towns moves communities beyond sustainability to resiliency. With many thanks to Lia who helped pull together this month’s roundup! Wow! just amazing what lots of ‘small’ community acts look like when they’re seen collectively..
It’s great!!! These students are doing a very good job, they are dealing with an important subject: how to make a better world!!!! And all this in a foreign language. Congratulations to the students and to their teachers!!! !